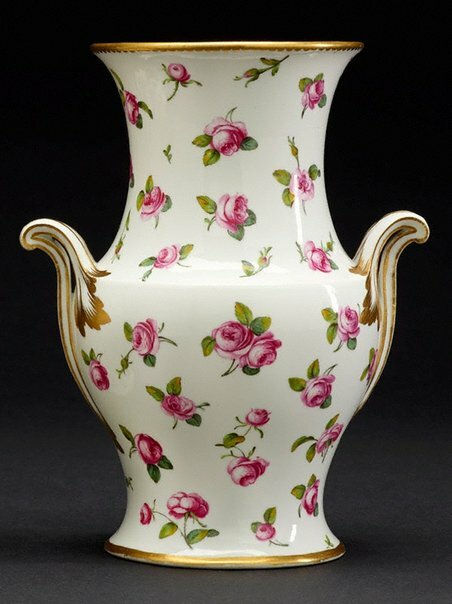 The vase shape was introduced before 1756. A slightly more elaborate version introduced in 1757 was known as a ‘vase Marmet’. It is unusual to find a pair of vases made one of soft-paste, the other of hard-paste porcelain. The production of such a pair would have presented considerable difficulties, the soft- and hard-paste workshops being kept entirely separate.